If looking for highest-res version, please click here. THIS IS HOW authorities see public transport integrating in the greater Dublin area in the near future. An Taisce have published this London Tube-style representation of what tranport links will look like when Luas, QBCs (Quality Bus Corridors) and other transport projects are completed. If the plan works, as it has elsewhere, we will have a system that could be extended to cover the whole city to serve all. This can never happen with rail projects alone, in our sprawling low-density city. There is currently a public consultation on the draft Integrated Implementation Plan 2013 -2018 for the Greater Dublin Area. You can read that document here. The implementation plan includes three Bus Rapid Transit routes. The NTA is now carrying out a public consultation on these three routes with a deadline of 14 March, next Friday. You can see that here. Email “London Tube-style map shows how Dublin public transport will link up”. 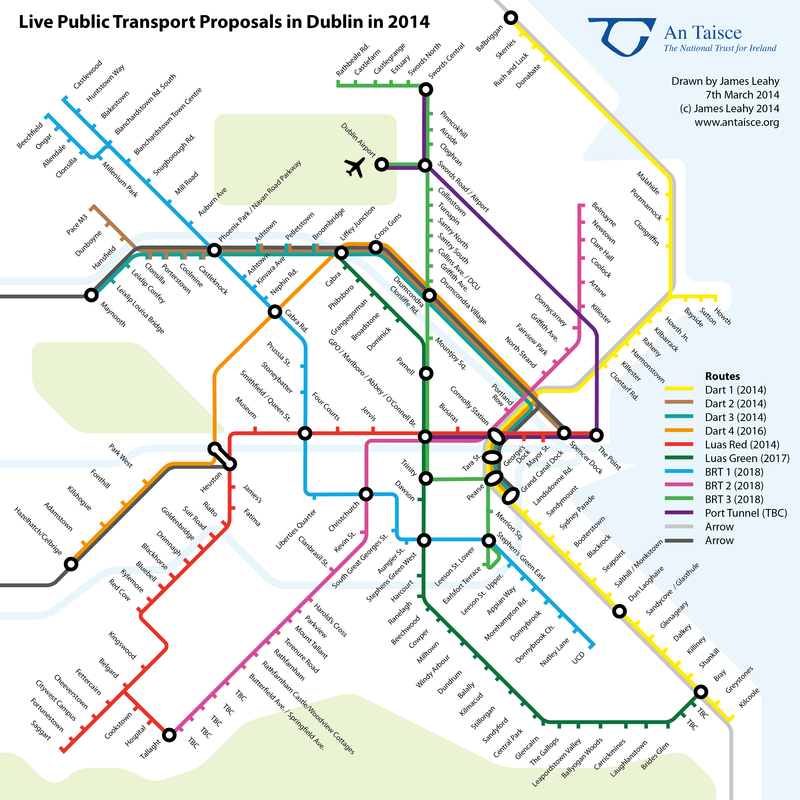 Feedback on “London Tube-style map shows how Dublin public transport will link up”.